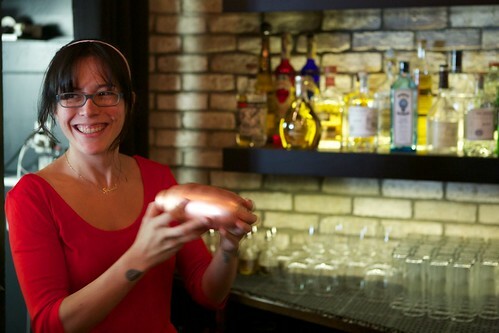 The Coachman's bar program opened with huge shoes to fill. After Heaven's Dog closed down last year, we honestly figured that whatever became Heaven's Dog 2 wouldn't live up, and we'd come to peace with that. 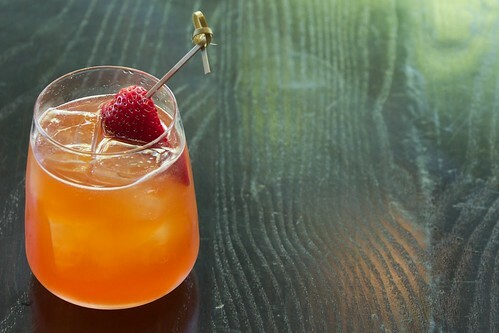 After tasting bar manager Johnny Codd's drinks and hanging out at the SOMA spot for awhile, I realized that The Coachman didn't try to fill Heaven's Dog's shoes at all. Instead, Johnny just did his own thing. 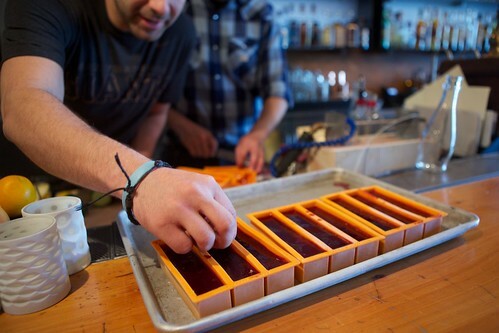 Which happens to be a super creative and quite delicious bar program. There's a lot to bring people to The Coachman, Charles Phan's new project modeled after a British steakhouse. First, the vibe is fantastic. 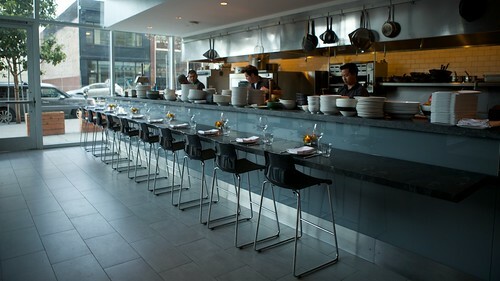 The architectural redesign made the space more open and lively. The back wall has been knocked down to make the dining room more spacious, and the wall separating the former lounge from the dinner bar has been removed as well and turned into an elegant dining room. Second, everyone is incredibly nice and hospitable. You can roll into The Coachman and expect solid, warm service. Third, the food is not what you'd expect from a British themed restaurant. The crudité is light and elegant, as is the watercress soup. If you want something heavier, the prime rib is incredible (and a good deal) and is incredible with a side of mash. For dessert, the sticky toffee pudding will bring you to religion. Most importantly (for this blog), the drinks are mind-blowing. 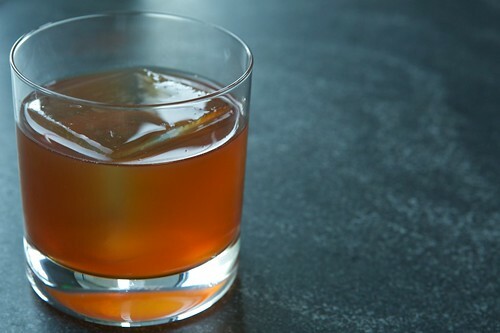 Historic cocktails have become a cornerstone of bar programs these days, but while many programs have looked to Prohibition and pre-Prohibition cocktails—now a well-worn concept—Johnny has chosen to inspire himself with early 19th-century British cocktails. 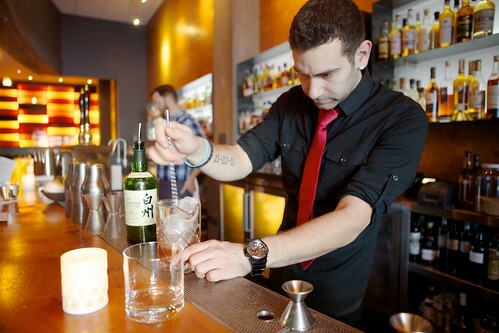 More often than not, he executes these drinks with creative flair, respecting the original drink but often bringing touches that are unique to the bar industry. 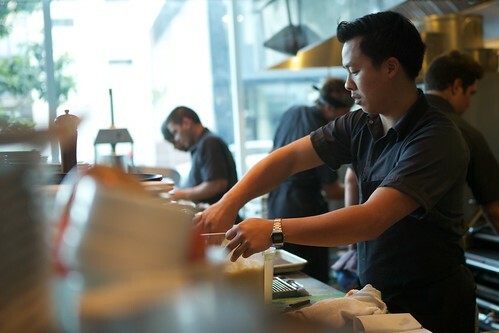 Every time I go to the Coachman, which is now often, Johnny is working on something new and interesting. After you try the cocktail within a cocktail (Wall-E-Bear), the ever-changing ice-wine cocktail (Cardinal), and the stirred citrus drink (Clarified Flight), ask Johnny what he's working on now. 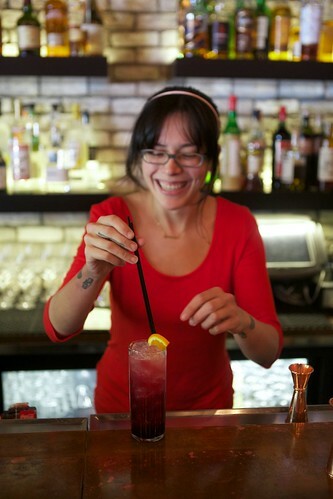 Pro-tip: Ask for the best cocktail in the world (Johnny's loving nickname for his recent creation, a blended negroni). You will not be disappointed (though, by the time you read this, Johnny might have come up with an ever better one that the cocktail I'm referencing). 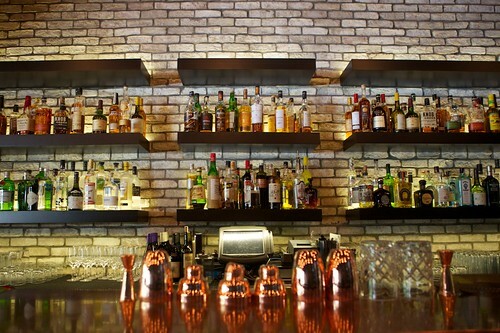 OK, let's get down to brass tacks: the drinks. 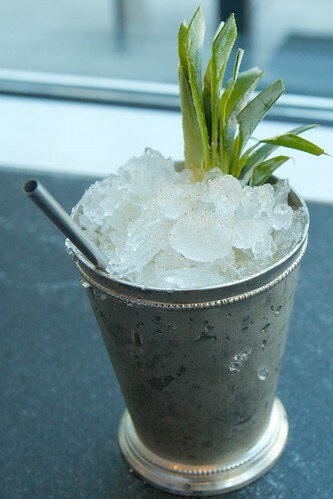 Pineapple Julep: Bols Genever, roasted spiced pineapple, maraschino. 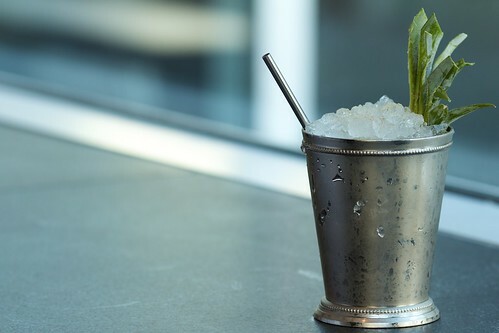 I love a mint julep, but for some reason, most of the variations I've tried have sucked—either too dry, too sweet, or too weak. This one makes the short list. 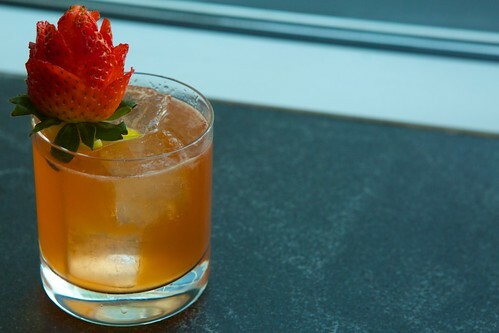 The roasted pineapple keeps the drink both rich and sweet like a mint julep, but adds pleasant tartness and citrus. Beware: The drink is easy to drink dangerously fast—a good and a bad thing. Wall-E-Bear: Rum, sherry, yellow Chartreuse, Negroni reduction. 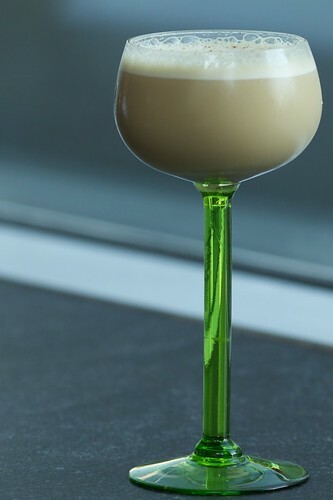 This is a cocktail inside a cocktail. How the hell has no one thought of this before? 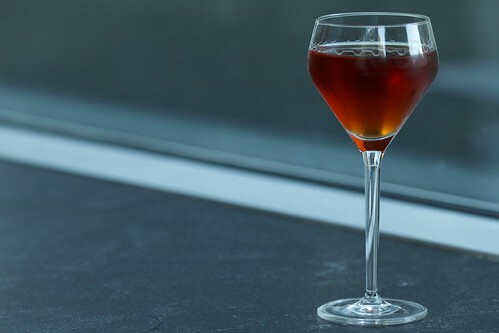 The kitchen takes a classic negroni—gin, vermouth, and campari—and simmers it down until it is a syrup. On paper, it looks overly rich and too complicated. But when you taste it, all the ingredients come together to make a cohesive whole. It's luscious, bitter, spicy, and nutty all at once. I love the heck out of this drink. California Milk Punch: Brandy, rum, Batavia Arrack, clarified milk, spiced syrup. 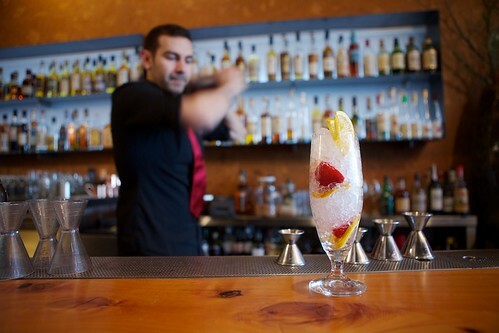 Like the Wall-E-Bear, the California Milk Punch points to the creativity of this bar program. 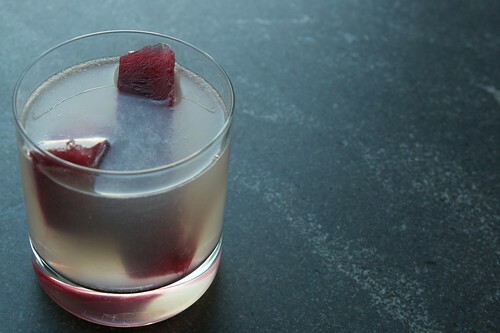 Though milk punch it technically a very old drink, it takes quite a bit of talent and guts to put it on a menu. Loyal barman Erik Ellestad, who has been at The Coachman since the early Heavens Dog days, put in epic work to perfect the recipe. It's worth a trip to The Coachman just to taste this drink, if you haven't had clarified milk before. It's got the creaminess and sweetness of milk without the, well, milkiness. It may sound weird, but it tastes delicious. Heidelberg Cup No. 9: Diep 9 Belgium Genever, Lemon, Nahe Riesling. 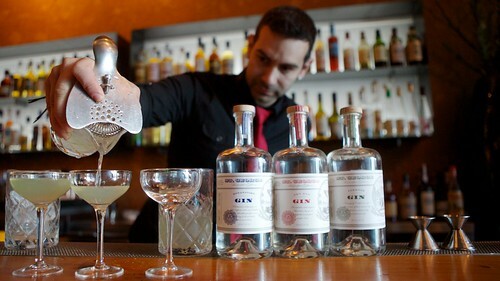 A great way to enjoy a legit Genever, the Heidelberg Cup No. 9 is light, refreshing, and dangerously drinkable. It's not at all sweet, which you might expect from the Riesling. The maltiness from the Genever mixes with the funk of the wine nicely. Lass O'Gowrie: Hakushu 12 year whisky, honey, Punt e Mes, Peychaud's. 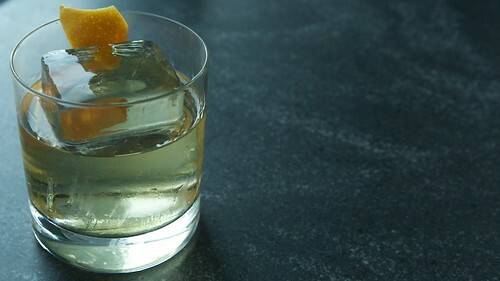 A drink to put hair on your chest, the Lass O'Gowrie is a smoky, bitter, slow-sipping cocktail over a large, crystal clear ice cube—perfect for an evening of conversation. Scotch lovers will enjoy this one. Athol Brose: Whisky, honey, milk, oats, (a dash of) coffee. This drink tastes nothing like what you'd expect. It tastes like a malted coffee milkshake without the heaviness or sweetness. Or maybe a malty latte without the richness. Although this drink is a classic, it's so different from what you'd normally get that it's worth a trip to try it. 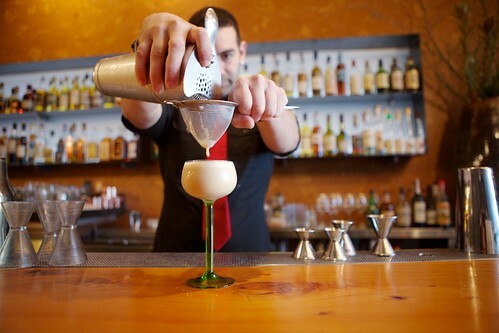 Antique Sour: Carpano Antica sweet vermouth, beer schnapps, lemon, egg white. This popular drink came over from Wo Hing, where Johnny first put the drink on the menu when he was bar manager there. And it's easy to see why he did this. 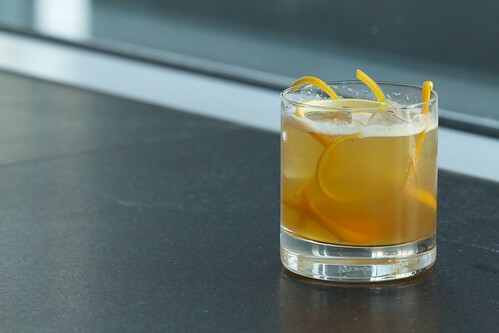 The cocktail is accessible but interesting, with bright citrus, richness from the vermouth and beer schnapps, and a dose of spice from the nutmeg garnish. You could drink about 50 of these and still not get tired of it. It's tart, malty, hoppy, and refreshing. What's not to like? 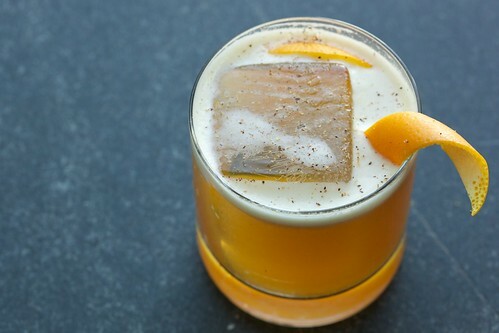 Gin Cocktail: Bols aged Genever, gum syrup, Curacao, orange bitters. Simple, straightforward, and delicious. 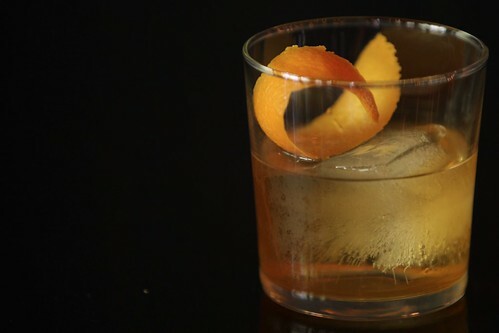 Fans of classic drinks like Old Fashioneds and Martinis will find a slightly funky, but accessible, medium with this drink. Robert Burns' Hunting Flask: Redbreast 12 year whisky infused with currents, ginger, lemon peel. 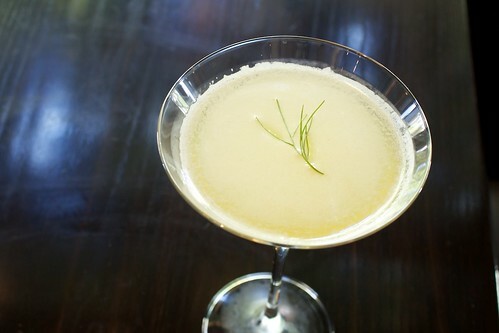 If The Coachman were to have a signature drink on its menu, this would be it. 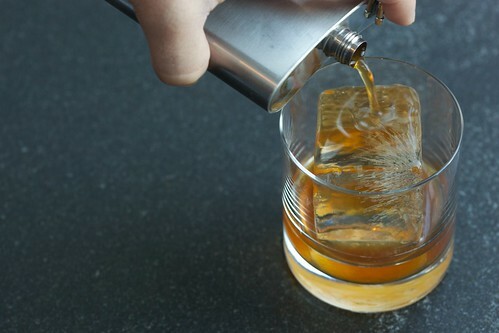 Two words: hunting flask—a super cool and super theme appropriate way to serve the cocktail. 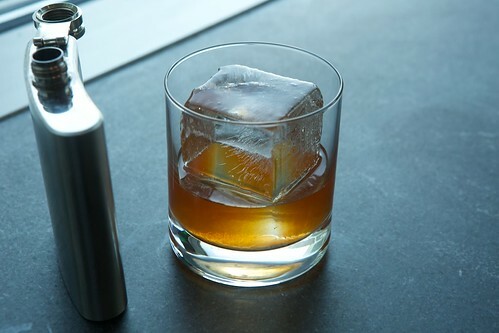 The bartender will get you going with a small pour of the flask over a big, perfectly clear cube, and then you hang on to the flask to pour the rest at your leisure. Slowly pouring the rest of drink is not only fun. 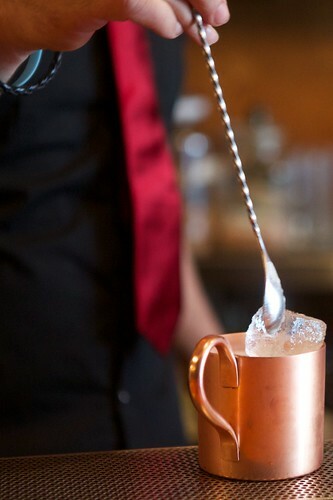 It also allows you to fully enjoy the thick drink (almost like a small meal) before the ice waters down the cocktail too much. 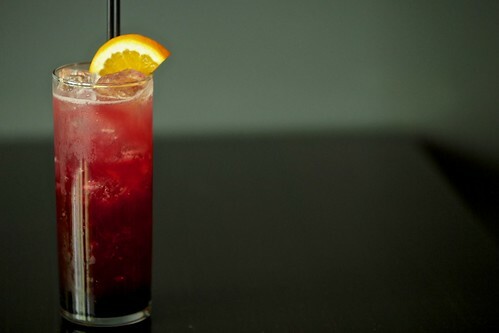 There is no sugar added, but the infused fruits add a delicious, jammy sweetness to the cocktail. 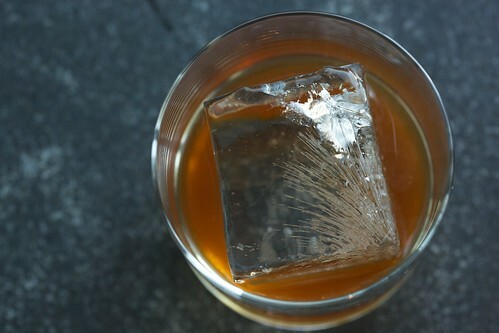 It's perfect for slow sipping. 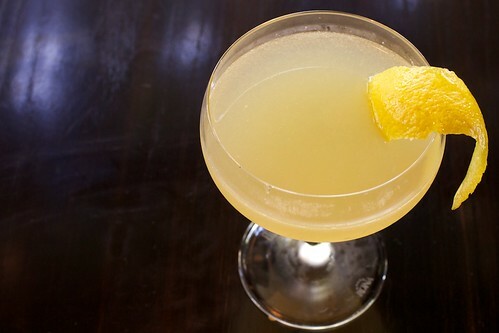 Sherry Cobbler: Sherries, house made bergamot marmalade, lemon. 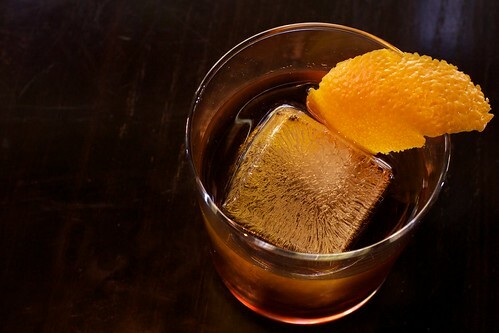 If I could drink fifty Antique Sours, I could drink a hundred Sherry Cobblers because the sherry is so delicious. 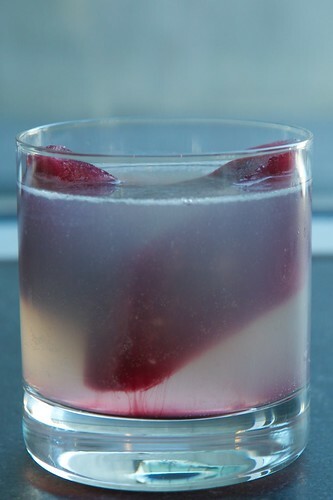 As with most cobblers, the drink is bright, fruity, and airy, served over ice. 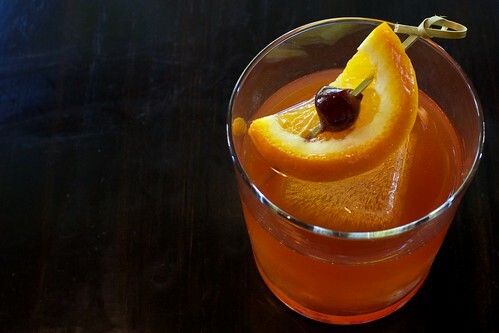 Unlike other cobblers, the sherry brings a savory richness to the drink. 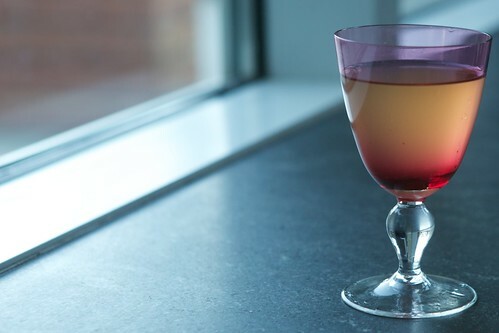 Sherry is technically a fortified wine, so the drink, like the Antique Sour, pairs perfectly with food and also works well as just something to sip on. Order this drink if you're in the mood to start light, to end light, or to take a break in the middle of the heavier cocktails. 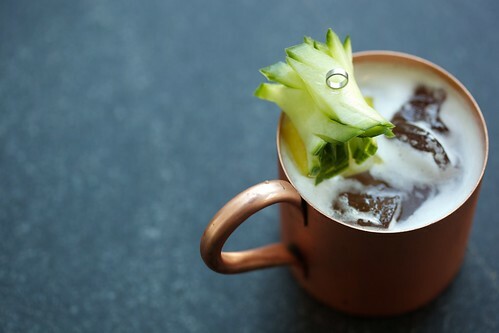 Cider Cup: Cider, brandy, Pur pear, cucumber, pineapple, lemon. The ridiculously elaborate frozen cucumber garnish alone makes this drink worth ordering. 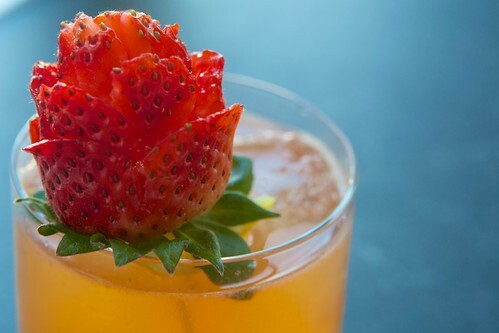 The fact that it's fruity, refreshing, and palate cleansing doesn't hurt, either. It tastes like Fall in a cup. 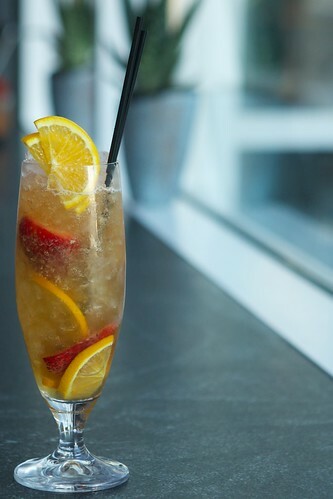 Knickerbocker: Jamaican rum, strawberry, kina, lemon, sparkling wine. Bright, easy drinking, with a huge kick of strawberry that's light on the palate. The bubbles make all the flavors dance on your tongue. Despite all of this, the Jamaican rum brings some fun funk. This is your summer cocktail. Cardinal: Barbancourt white rum, sherry, spiced wine ice, lime, cinnamon. Those shards of wine ice are delicious on their own. Weirdly enough, they remind us of tea eggs because both make use of Chinese five spice flavor. I love this drink because it changes with every drink as the ice melts. 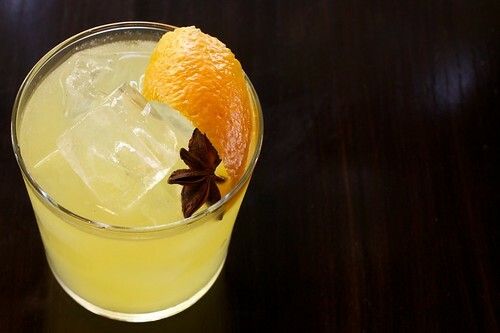 It starts citrusy and tart, and gradually the drink becomes spicier and funkier because of the spices and sherry. This drink really showcases Johnny's creativity. 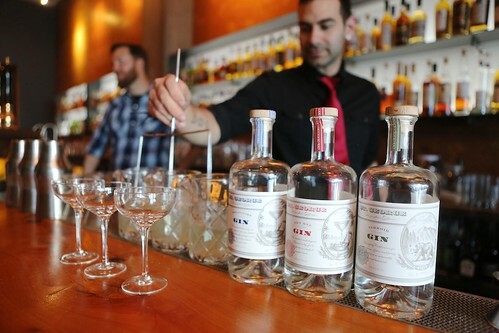 Clarified Gin Flight: Come to The Coachman on a right night, and you may be lucky enough to find a flight—hopefully a Clarified Gin Flight. These flights make use of the key ingredient is clarified juice—the result of a laborious and time intensive process of filtering out all of the impurities of citrus juice, leaving a clean, pure juice without too much acid. 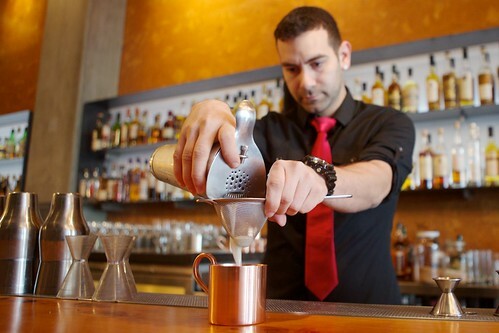 This allows them to use this juice to make stirred drinks that would traditionally have been served shaken. 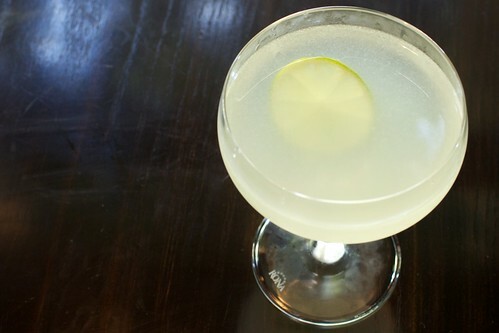 The first time you have a stirred Aviation, your world will be changed. Seriously, don't forget to ask Johnny for the best cocktail in the world. Or, if you're not in the cocktail mood, try one of the cask conditioned ales. If you haven't had beer straight from the cask before, it's a real treat. For more pictures, check out our full album on Flickr.